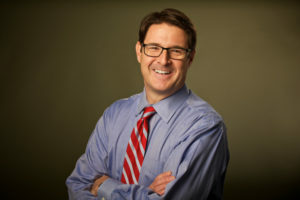 David Kendrick, MD, MPH, FACP chairs the Department of Medical Informatics at the University of Oklahoma’s School of Community Medicine and serves the OU Health Sciences Center as the Assistant Provost for Strategic Planning. Dr. Kendrick is also the principal investigator and CEO of MyHealth Access Network, Oklahoma’s non-profit health information network. MyHealth provides an advanced health information exchange, community-wide care coordination tools, and a robust decision support platform to empower providers and patients to improve health. Dr. Kendrick is a member of the Board of Directors of the National Committee for Quality Assurance, the Strategic Health Information Exchange Collaborative, and The Network for Regional Healthcare Improvement, as well as serving on the Advisory Board to the Sequoia Project and as convening faculty for the Comprehensive Primary Care program. Dr. Kendrick served as Senior Counsel for Interoperability to the National Coordinator for Health Information Technology (ONC) and continues to work closely with ONC.